Church interior plaster and painting repairs at a number of areas. This will be spread out over the next 3 years in stages (the choir loft repair was the first stage). This total cost is unknown at this point. Interior lighting in certain areas as well as better and more efficient lights throughout. Estimates are underway. Masonry work at the outside of the church building. Estimates are underway. Wrought iron fence repairs/painting around the entire property as well as cement work at the fence. This will be completed once the exterior windows are complete. Total cost will be approx. $ 3,000.00. There will be some additional statue restorations in the church. New landscaping and signage when all the exterior work is completed. Front doors of the church will be refurbished. Installation of pavers in the area that connects the Parish Center outdoor plaza to the garden behind the Rectory. There may be additional projects as we are undertaking all of these restorations that may become apparent once work is done. We are reviewing the possibility of installing of a columbarium in the basement under the physical church. This will be reviewed after the repairs to the footings under the church. All of these finished and in process restoration projects are needed for the preservation of our church for the foreseeable future. The last major restoration work of any kind was done in the 1980’s and even some of the completed and proposed current restoration work was not brought to completion in the 1980’s. How are these restoration projects paid for and where do the funds come from? Weekly collections, stipends, donations, interest and miscellaneous. CLT program (which has now ended) which produced approximately $ 100,000.00 to the church. Cost savings and reductions in other areas. Donations from wills and bequests. Although weekly collections, stipends, donations and other are very generous, they do not even cover our basic yearly expenses. We rely on the parking lot lease as well as the school building lease to cover all of the shortfalls. For example, other than paying salaries, utilities, insurance, property taxes, maintenance and many additional standard operating costs, we also pay $ 5,168.00 each month to the Archdiocese of Detroit for our standard parish assessment as well as $ 5,191.00 each month to the Archdiocese of Detroit as their assessment on our school building lease. Over many years, we have built our savings looking toward these restorations projects and a portion of both the parking lot revenue and the school building revenue lease has helped to build our savings. With the continued guidance from the Old St. Mary’s Parish Council and Parish Finance Council, with proper maintenance and care, we forecast 30 to 40 years into the future without other major expenses to our campus of buildings. These restoration costs will come from our savings. 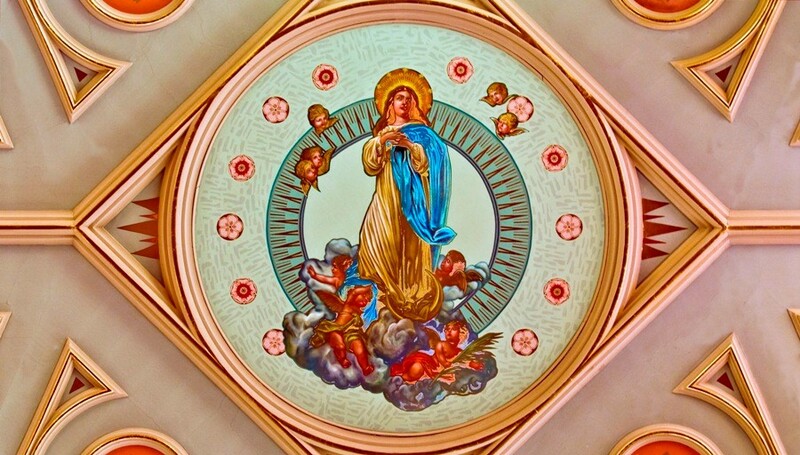 These restoration costs come from your generosity and have made possible these restorations that are restoring Old St. Mary’s and enshrined within our hearts its beauty, grandeur—a parish dedicated to the greater honor and glory to God under the patronage and guidance of our Blessed Virgin Mother. Thanks again to all. If you have any questions, please call or email Randy Bowers, Operations Manager @ 313-961-8711/rbowers@oldstmarysdetroit.com.